Wed., May 22 | Men's Fellowship, 6:30 a.m. @ Norma's Cafe. Future events can be located on our calendar. Last Sunday we began our new sermon series simply called, "Foundations." This series will touch on what we're all about - our mission, values, and vision. We hope you can join us for a time of Bible Study and fellowship at Karis Buerger's house (8149 Clearprings Rd.) on Tues. June 11 @ 7:15 p.m. We will meet June 11, 18, 25 and July 9, 16, 23. We will be focusing on the Psalms during our time together. Sign up here if you plan to attend. We will not have childcare. Join us on Wednesdays @ 6:30 a.m. at Norma's Cafe (9100 N. Central Expy #151, 75231) for Bible study. Come early to order breakfast and be sure to bring your Bibles. Middle and High Schoolers: we'll meet on Saturday, May 11 at 3 p.m. at Jason and Kizzy Webb's (6728 Cliffbrook Dr., 75254) to play basketball and enjoy dinner together. Come out for this time of fellowship and fun. Please email Kenny Maple for transportation needs. Interested in Membership? 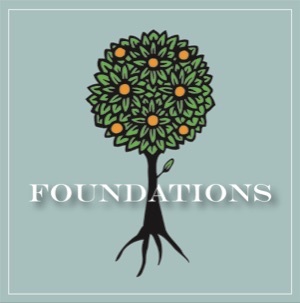 Email Anna Fryant about attending our next Foundations Class on Sun. May 19, 4-7 pm at Dave and Debi Nelson's (7150 Aberdeen Ave, 75230). This is the best way to get an overview of what our church is all about- our vision, values, beliefs, and mission as well as what membership at Mercy involves. Attending the class does not obligate you to anything, but it is required for anyone interested in joining Mercy. Registration for VBS with PCPC is open to members of Mercy! Click for more information or to have your child registered. To learn how you may provide meals for a growing family or to schedule meals for your growing family, email Shannon Watson. For the recovery and rehabilitation of Judy Myers following foot surgery and an extended stay in the hospital. For the Women's Ministry to reach, encourage, and equip more women with the Gospel. Continued spiritual growth of the congregation as well as the addition of more members. If you have a prayer request that you would like included in the Mercy Monthly newsletter, please email Anna Fryant. 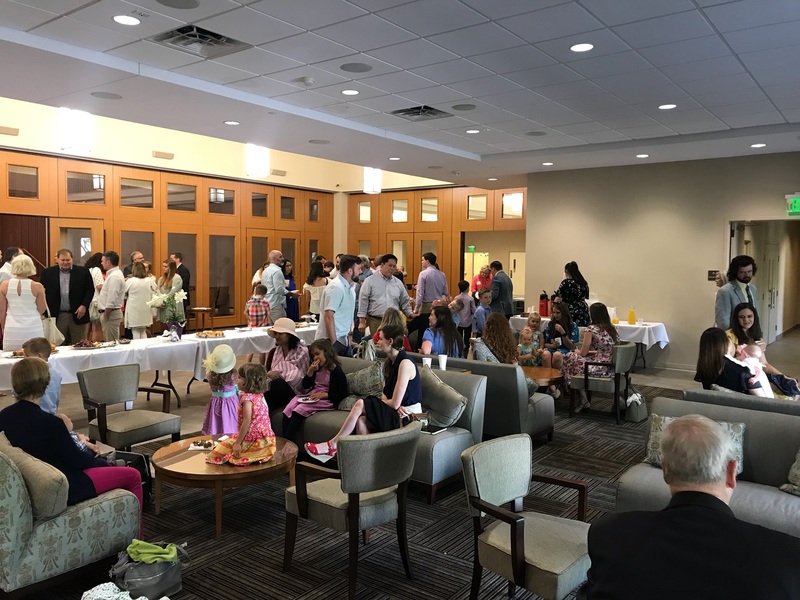 Thanks for coming out for our Holy Week Lunch and Devotional Service, Maundy Thursday Service, and Easter Sunday Service! 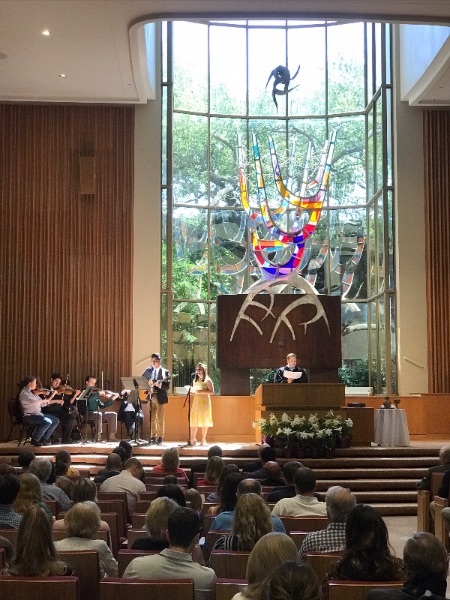 The photo at the top of this newsletter is from the Easter Service in the sanctuary, and the photo below pictures a reception we had prior to the service. We trust and hope that you were blessed by these services! Our communion bread this month is baked by Kizzy Webb. To inquire about serving in any of the capacities listed above, email Kenny Maple. Copyright © 2019 Mercy Presbyterian Church, All rights reserved.